What you need to know about SEO and its impact on web traffic | Be "Noticed"
What you need to know about SEO and its impact on web traffic. 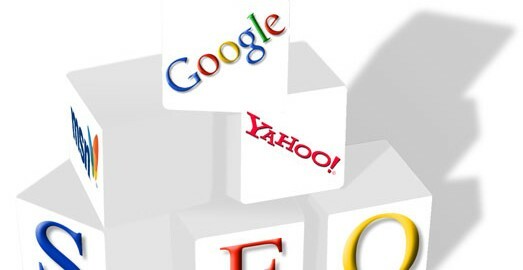 Search engine optimization is the most popular concept of the cyber world we call the ‘internet’. And why would it not be? With the help of SEO, people have raised businesses on the internet worth hundreds of thousands of dollars. However, even though it is such a popular concept, not many people know about SEO. The reason behind this phenomenon is that SEO requires you to perform some intensive work on your website which may take even months before any traffic comes to your website at all. So many people don’t have the determination to do stay put for so long hence they either quit or abstain from embarking on such a business model. However, one thing is for sure: without SEO, your website is not going to generate as much traffic as you want it to. Before trying to figure out the impact of SEO on web traffic, it is imperative that we understand the basics of SEO, and to understand it we need to understand the basics of Search engines altogether. SEO is a method, not a tool. It is a process which a website must go through in order to become recognized by a search engine. Search engines work in a mysterious but simple way. They take the query of the user, search the entire internet database for an exact match, and place the most relevant results on top, whereas the websites least relevant to the query get the bottom place. The websites which appear on top are the ones with a huge amount of traffic already on them. However, if you are just starting an online business, you need not worry. With SEO, you too can get your website on the first page of the search engines even with zero traffic. They key term which you must know of is ‘keyword’. A keyword is a word or a phrase which has been searched for the most on a search engine. Search engines publish the list of keywords for the public to view, so accessing that list is not a problem. However, for your website to come out on top, you need to put as many keyword dense articles on your website as you possibly can. The term “Keyword dense articles” does not mean you stuff all the content on your webpage with random keywords which make no sense. It means that you should maintain a keyword density of a certain percentage on all the content of your website, and use one keyword only per topic. So for example, if you are discussing lamps in 700 words, you should use a keyword related to lamps 7 times, if you are keeping a keyword density of 1%. The percentage of keyword density is recommended at 1%, so make sure you keep it that way. But all is not that simple. Selecting the keyword is an art on its own. You need to choose the right keyword, one which has not been used excessively by many other websites already. Remember you are in a very competitive field here, and many other webmasters are stuffing their websites with keyword dense articles as well. Fortunately, search engines do tell how many websites are using a keyword, so you can get a good idea from those statistics. Unfortunately, the keywords with the highest searches already have a high usage. But don’t feel bummed by that. Using a medium level keyword which has not been used by many other online websites will do wonders for your website, if you supplement it with many a number of articles. Try to put in quality articles on your website, because you can only get so much traffic. You will need to create a loyal viewership for your website to have it grow in a sustainable manner. Try to keep the keywords the centre of focus for the content you put on your website, and not the other way around, so that the keyword does not feel out of place. Also, remember that other websites are outsourcing their articles and getting them written in hundreds by the day, so don’t try to keep up with them by writing articles yourself. You will not be able to win the race that way. Derek Lee is currently working as a professional in New York City and runs a firm providing internet business consultancy. The tremendous response he got on his iPage review has encouraged him to bring his services online, and he soon plans on launching an online portal for hir firm.